Percy Jackson Characters. . HD Wallpaper and background images in the The Heroes of Olympus club tagged: the heroes of olympus new character percy jackson the lost hero annabeth jason piper leo. He has the scar and streak of grey from holding the sky. im not really sure? i'll look it up! But in ways it has to be Octavian since this is the heroes of the Olympians. 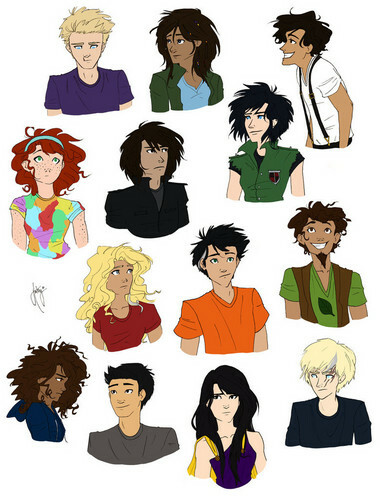 *gasp* percy, Luke, and Annabeth have the gray streaks! That's awesome!